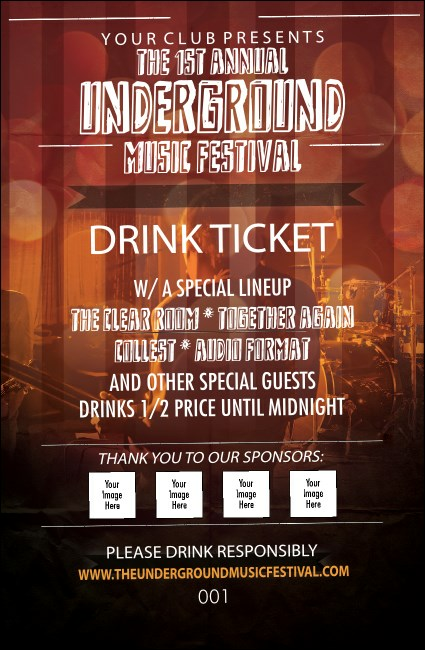 Get ready to rock your audience right up to the bar when you give them cool Alternative Music Drink Tickets at your band’s next gig. With a transitional red, orange, and black background, and room to upload four of your own images, you can get the word out about your sponsors while making sure your guests have a great time. TicketPrinting.com helps you rock the night away.